My home town. Light imprecise. Catch it if you can. 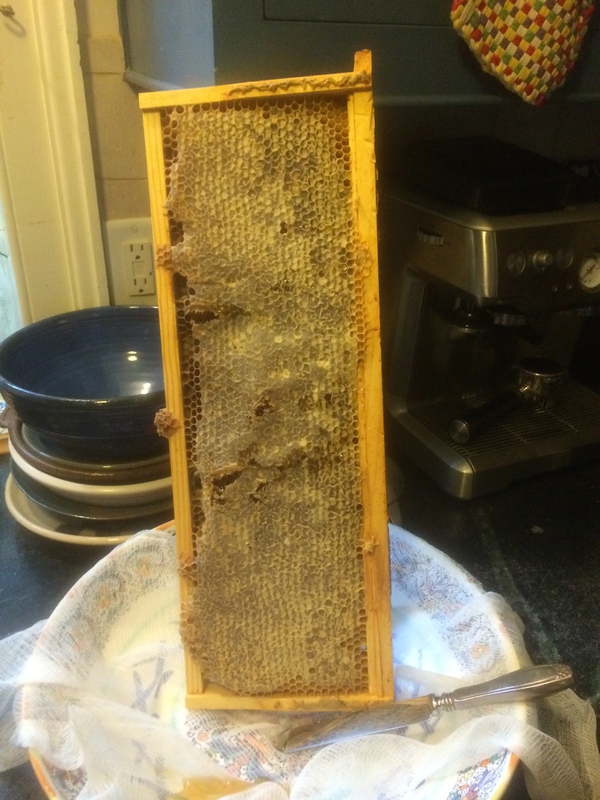 I decided I could take one frame from one of the 2 hives this year since there is plenty more for the bees for the winter (read ~50lbs/hive!). 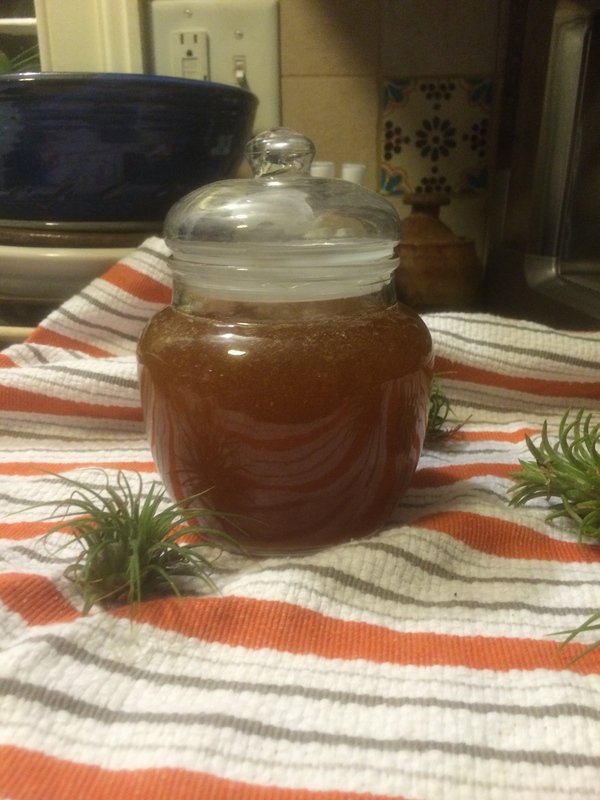 Since it was only one (but still 5-6 pounds of honey!) 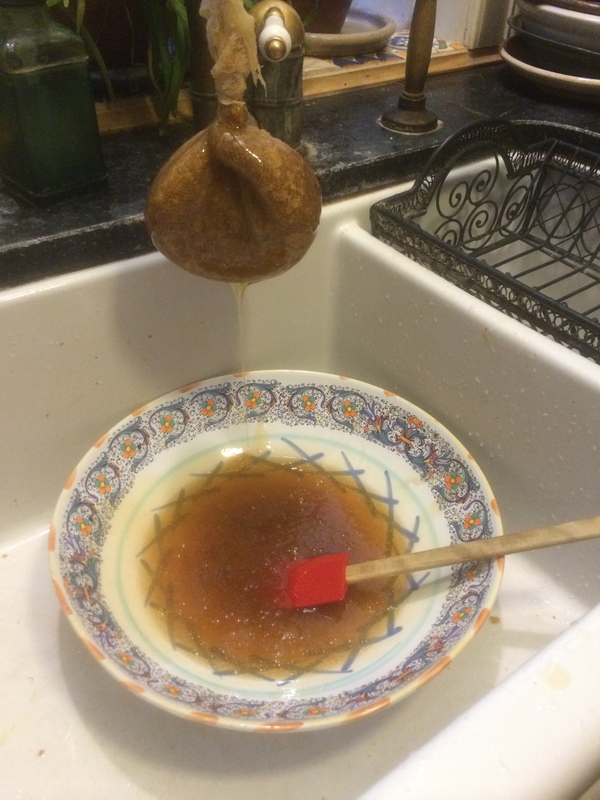 I scraped it into cheese cloth, squeezed, twisted, and finally hung it off the faucet in the kitchen sink to ooze out, and gave it one more squeeze with spatulas to get the last bit sans wax.